Is Your Evaporative Cooler Putting You in Danger? In the early hours of March 16, 2017, fire crews were called to a home in Spotswood. Their evaporative cooler had caught fire on the roof of the home. The weekend of January 7 and 8, 2017 fire crews were called to four house fires caused by evaporative coolers. We are in the hottest time of the summer months. This means that more people will be using their air conditioning and evaporative coolers. This also means that there is an increased risk of house fires from faulty and un-serviced evaporative cooling and air conditioning systems. 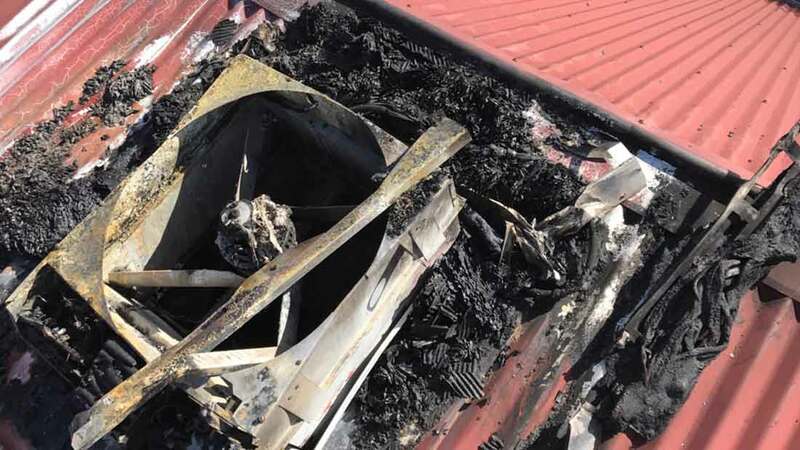 The regular occurrence of evaporative cooler caused fires has urged the CFA State fire investigation coordinator, Nicole Harvey to urge the public to service their air conditioners and evaporative cooling units annually to prevent issues that could cause the systems to become dangerous. An evaporative cooler uses water that is pumped from a tank and run over cooling pads. Air passes through the cooling pads and cool fresh air is dispersed into your home. There are so many opportunities for a fault to occur within the evaporative cooler. The easiest way to ensure that all these parts are working correctly is to have your unit serviced each year. Air conditioning units and evaporative coolers are usually placed in the roof of a home. When a fire starts, it spreads quite far before the occupant will even know there is a fire in their home. Other than getting your unit serviced each year, here are some tips on what you can do to keep your family safe this summer. If there is a fire nearby, turn your evaporative cooler on so that the filters are wet. Remember that the number one way to ensure the safety of your evaporative cooler this year is to make sure that it is serviced. A service professional is the best option as you know they are qualified and they will know what they are doing. Stay safe and be cool this summer. Get your evaporative cooler serviced by industry winners at Plum Heating & Cooling today by calling 03 8360 9622.